Keep a copy of Shemin’s favourite recipes handy in the kitchen with the beautifully designed hard copy version of our Indian recipe book. 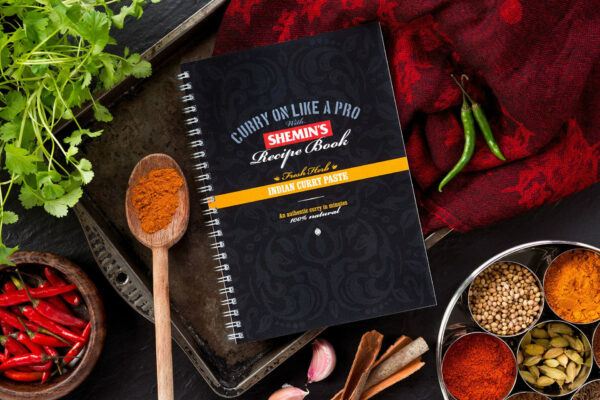 Including Shemin’s curry tips, curry in a hurry and over 50 quick and easy recipes to use with our Indian Curry Paste. Recipes Include: Chicken Jalfrezi, Rogan Josh, Chicken Korma, Onion Bhajis, Keema Aloo, Tikka Kebabs, Bombay Potatoes, Lentil Curries and many more!